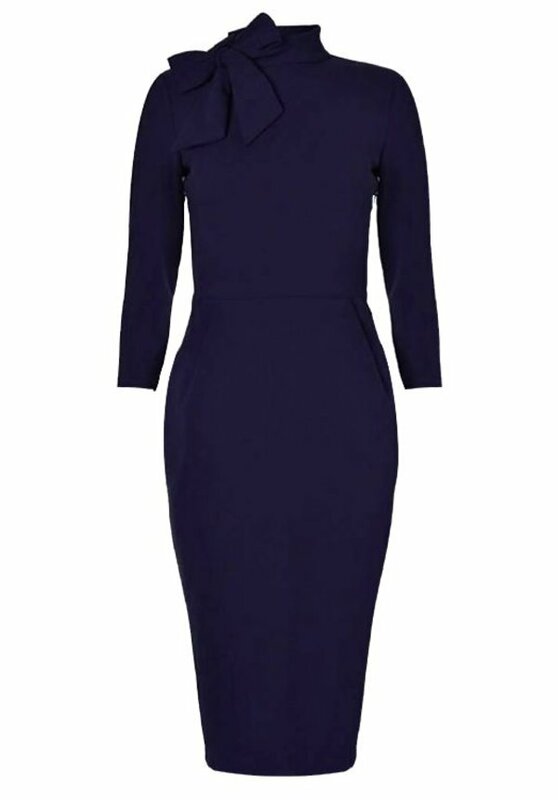 This dress in the color navy has a small col that is equipped with a scarf. On the front of the dress are two pockets. The dress has 3/4 sleeves.